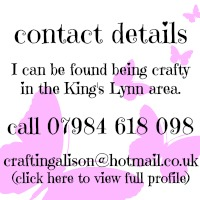 Crafting Alison: my first birthday card using Stampin’ Up! 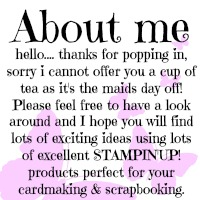 my first birthday card using Stampin’ Up! I made my first birthday card for my hubby’s niece’s 21st birthday using mainly Stampin’ Up! products (mirror card, ribbon & diamante's non-SU). Once I receive my future orders then the products will be purely SU. I really enjoyed making this card – trust me with the amount of birthdays in both my Hubby’s and my family I will be very very busy! 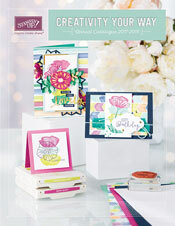 SU products - whisper white and basic black cardstock, cherry cobbler, soft suede and early espresso ink pads, 2 3/8” scallop circle and cupcake builder punches, create-a-cupcake stamp set, double-sided tape, dimensional foam pads and crystal accents. 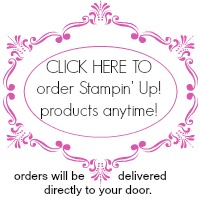 Sale-a-Bration time @ Stampin’ Up!